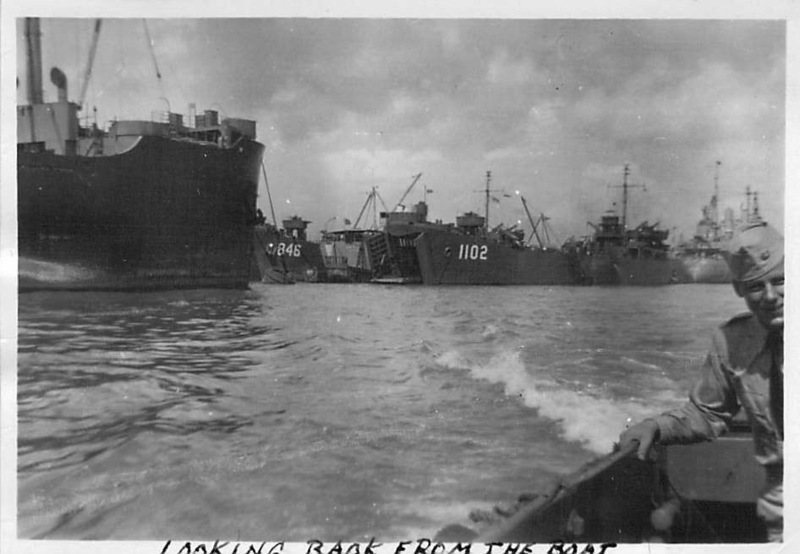 Laid down, 27 October 1944, at American Bridge Co., Ambridge, PA.
Decommissioned, 14 October 1949, at Astoria, OR. 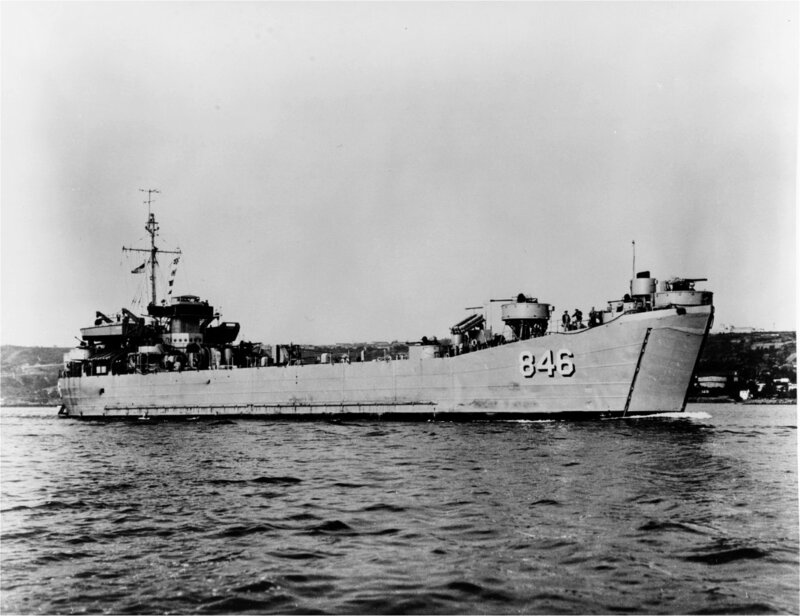 179k USS LST-846 under way, circa early 1950s, location unknown. 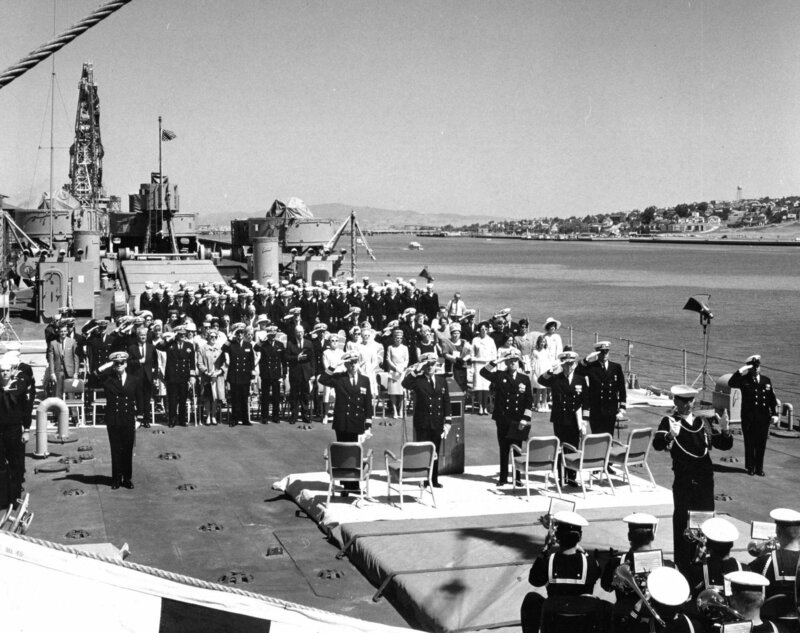 408k USS Jennings County (LST-846) recommissioning ceremony at Mare Island Naval Shipyard, 11 June 1966. 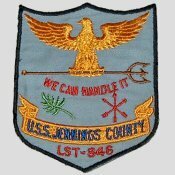 591k USS Jennings County (LST-846) recommissioning ceremony at Mare Island Naval Shipyard, 11 June 1966. From left to right: LT L. L. Thomas, Executive Officer; Capt. L. V. Forde; Capt. N. C. Nash; LCDR C. Pitts, (CHC) and LT L. M. Patella, Commanding Officer. 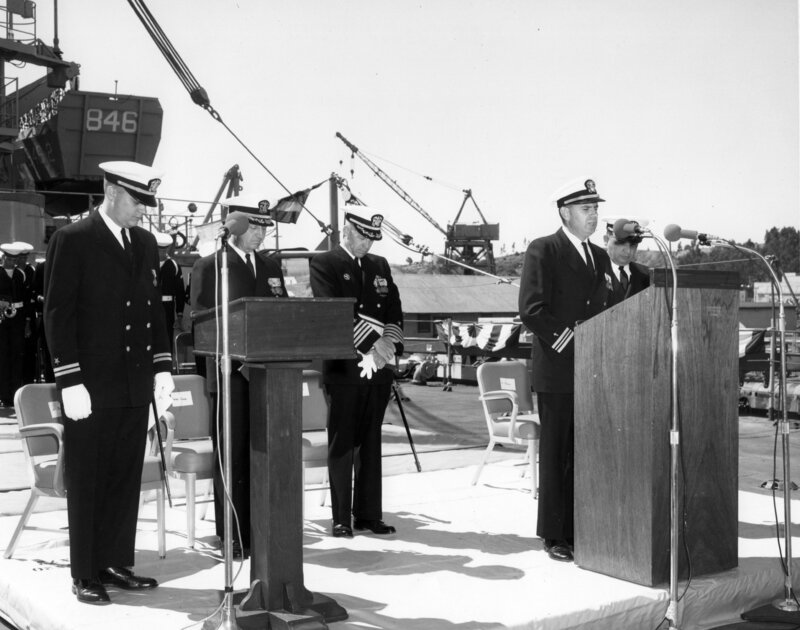 547k Captain Normal C. Nash gives the commissioning address at the recommissioning ceremony of USS Jennings County (LST-846) at Mare Island on June 11, 1966. Note that Capt. Nask is wearing a Silver Star awarded to him for action as the plotting officer aboard the USS Tunny (SS-282) on her 5th War Patrol from February 27 to April 11, 1944. 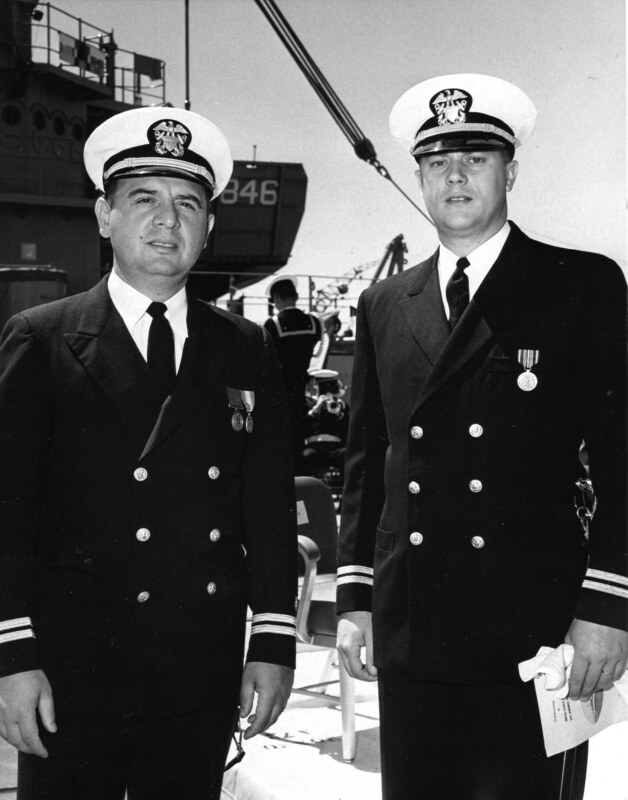 620k LT Lawrence M. Patella (left) Commanding Officer of the USS Jennings County (LST-846) and LT L. L. Thomas, Executive Officer, at the ship's commissioning ceremonies at Mare Island on June 11, 1966. 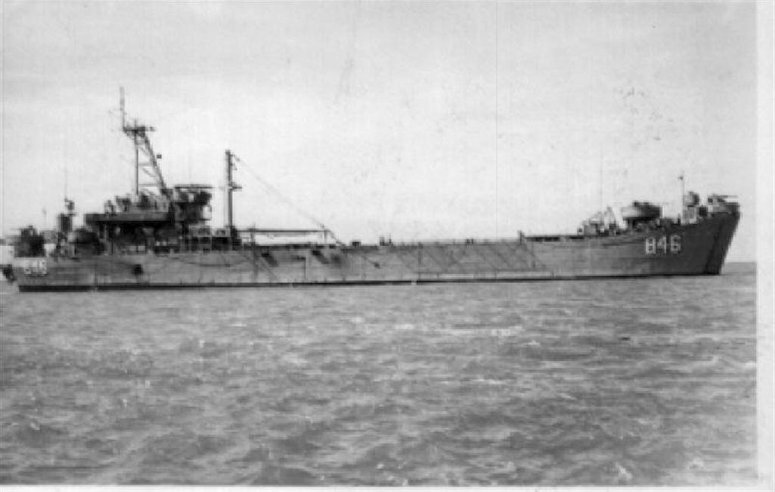 50k USS Jennings County (LST-846) at anchor, off South Vietnam, date unknown. CAPT. 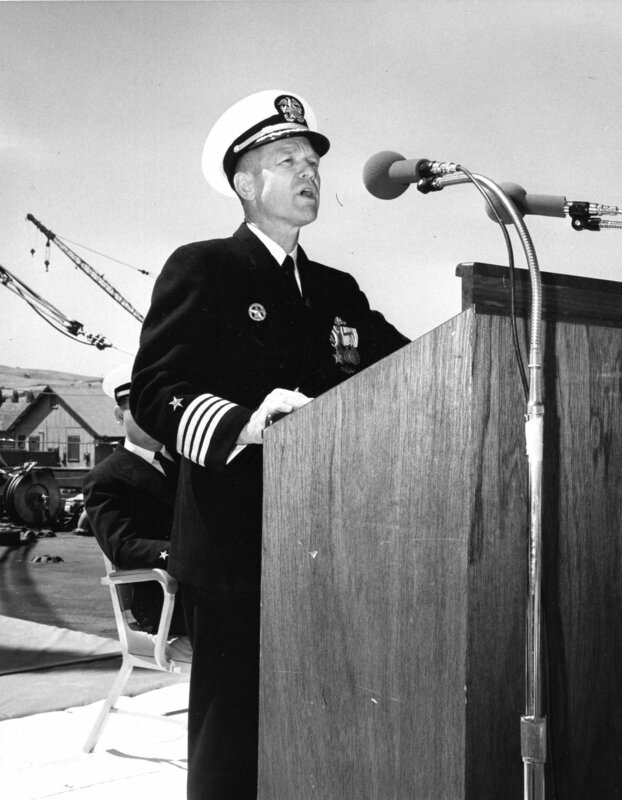 Edward C. Ruff USN Ret. 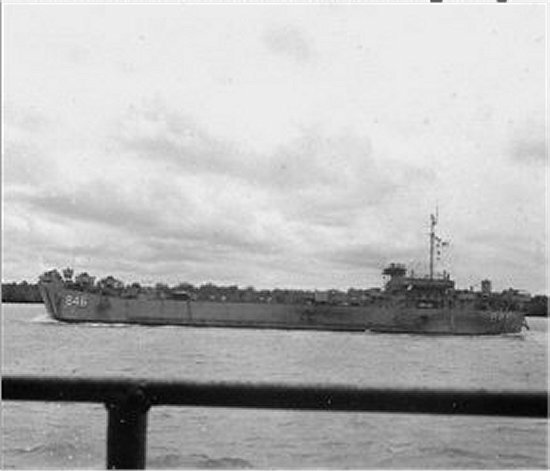 47k USS Jennings County (LST-846) at anchor, off South Vietnam, date unknown. 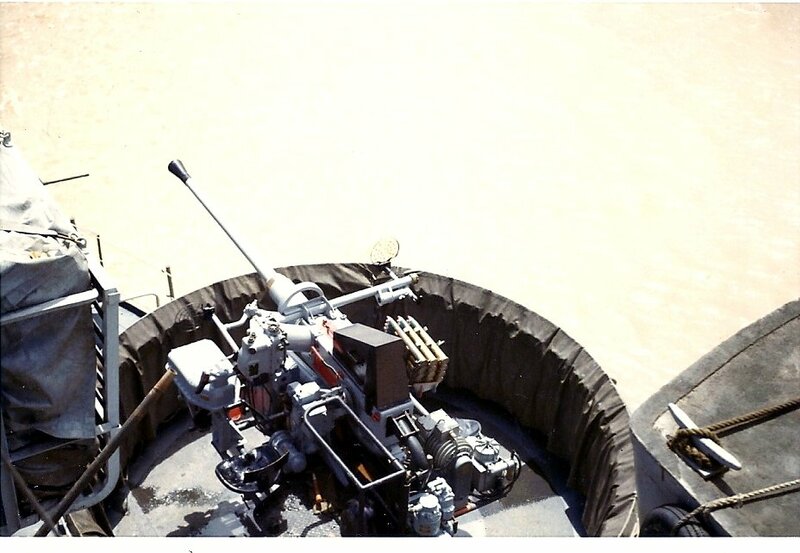 102k USS Jennings County (LST-846) 40mm gun mount. 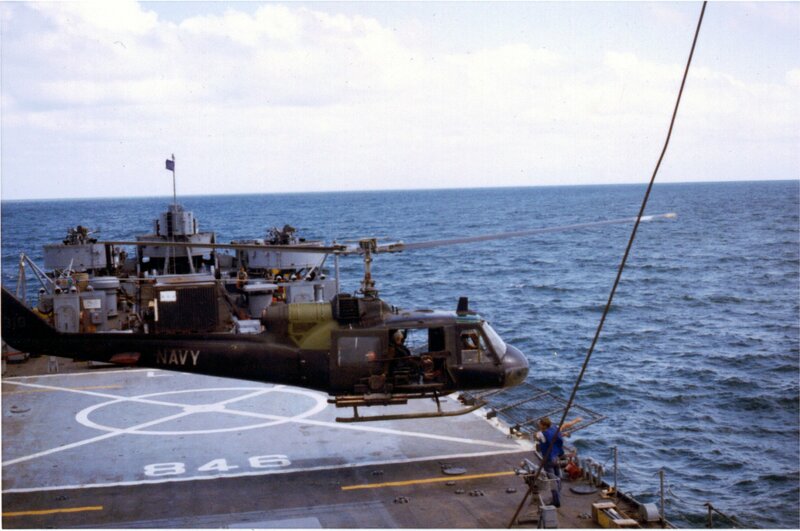 Photo by Bernie Brendt YNCM USN Ret USS Jennings County 1969-70. 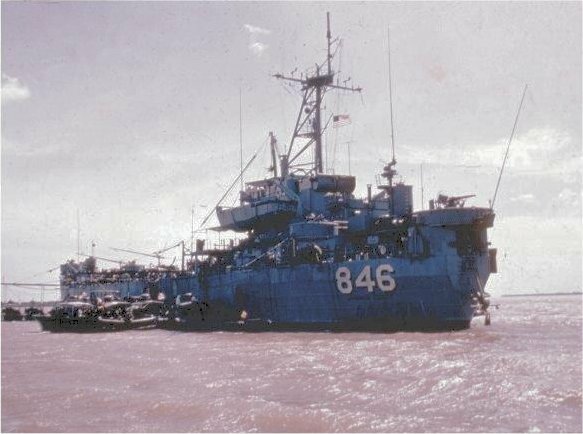 129k USS Jennings County (LST-846) at anchor, near Ha Tien, South Vietnam, circa 1969-1970 with Helicopter Attack (Light) Squadron Three (HAL-3) helicopters. 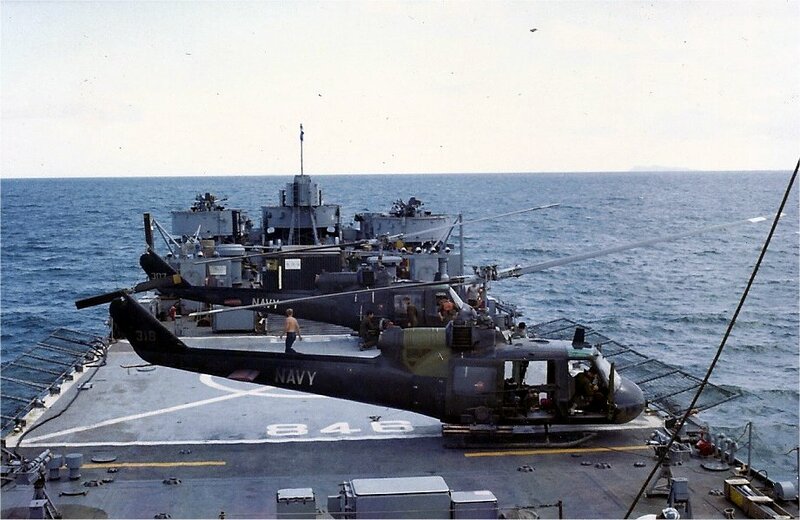 Photo by Bernie Brendt YNCM USN Ret USS Jennings County 1969-70. 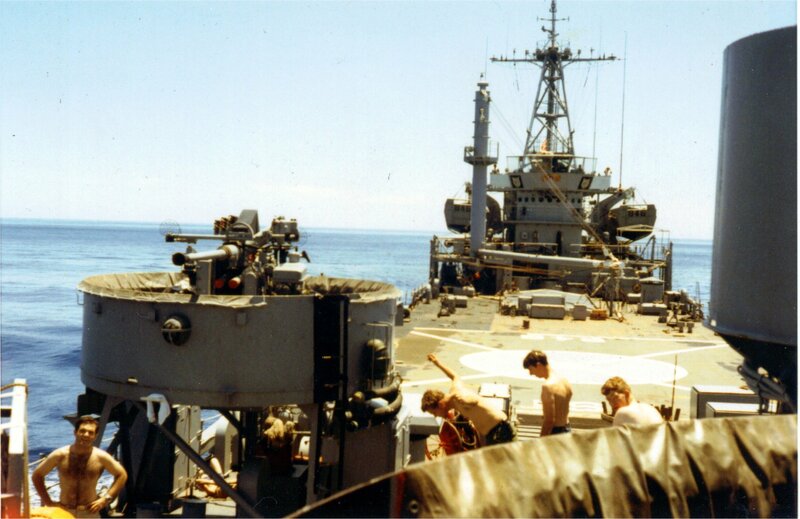 361k View of Tank Deck of USS Jennings County (LST-846) while at anchor, near Ha Tien, South Vietnam, circa 1969-1970. Photo by Bernie Brendt YNCM USN Ret USS Jennings County 1969-70. 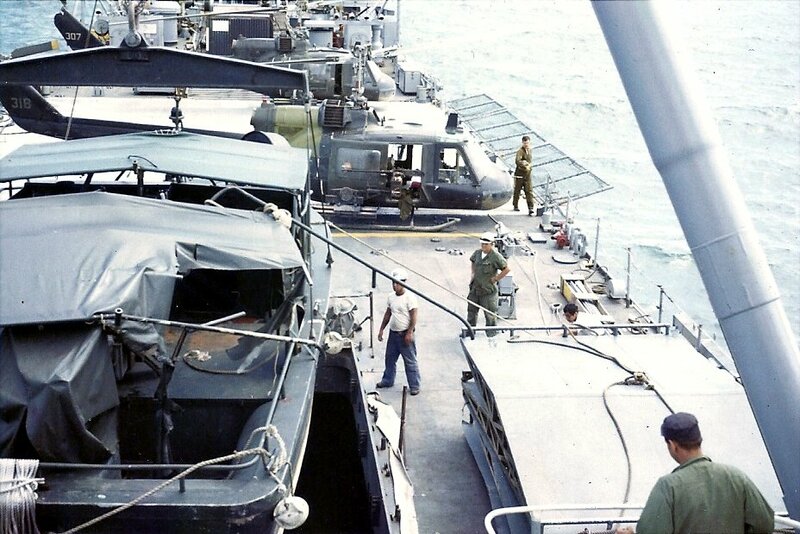 155k USS Jennings County (LST-846) tank deck with a PBR and Helicopter Attack (Light) Squadron Three (HAL-3) helicopters on deck while at anchor, near Ha Tien, South Vietnam, circa 1969-1970. Photo by Bernie Brendt YNCM USN Ret USS Jennings County 1969-70. 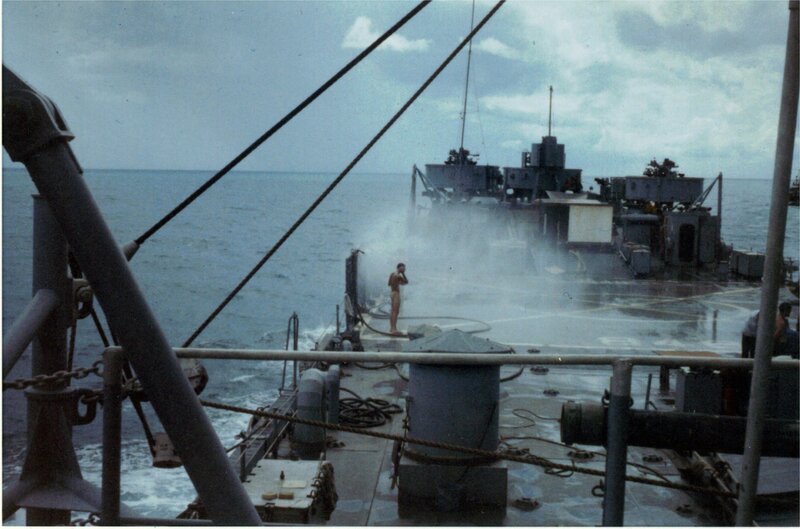 402k A USS Jennings County (LST-846) crew member showers on the tank deck after the fire aboard ship in 1970 that ended the Jennings County's active service Photo by Bernie Brendt YNCM USN Ret USS Jennings County 1969-70. 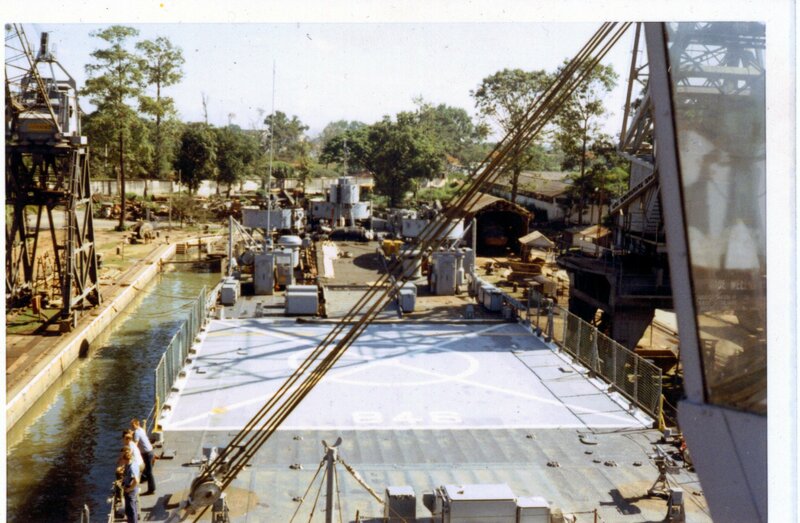 480k USS Jennings County (LST-846) entering dry dock at Saigon for repairs, circa 1969-70. Photo by Bernie Brendt YNCM USN Ret USS Jennings County 1969-70. 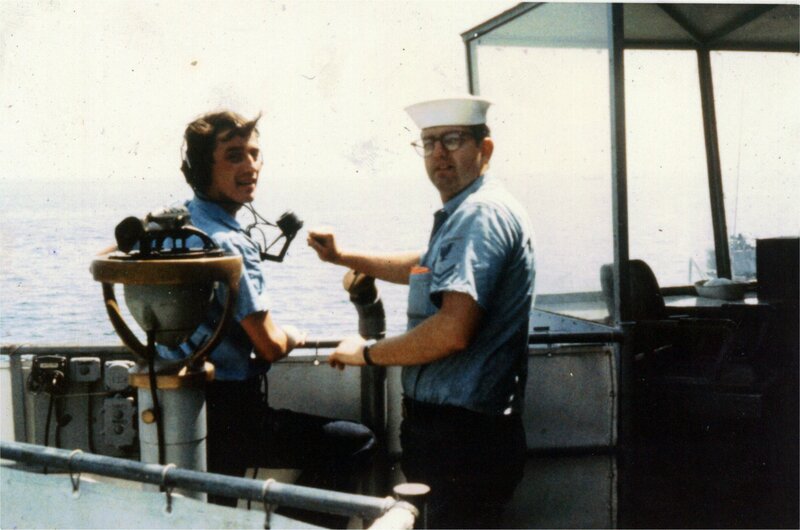 338k YN2 Brendt (left) and shipmate on the bridge of USS Jennings County (LST-846), circa 1969-70. Photo by Bernie Brendt YNCM USN Ret USS Jennings County 1969-70.